Munawar specialises in phone and laptop repairs. Starting Jap Tech in the market over 5 years ago, we have an extensive customer base. 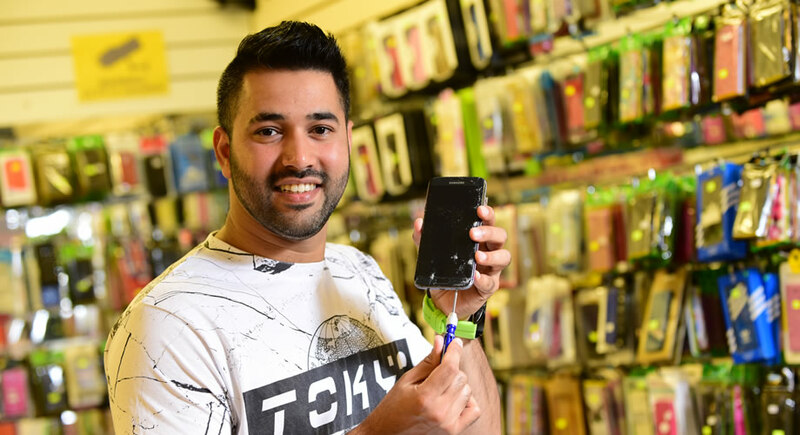 No job is too big or small, we offer a variety of technology services to include phone unlocking and screen replacements, as well as selling a range of accessories. Monday to Thursday, and Saturday: 8am until 5pm. Foodie Friday: 8am until 9pm. Butchers, fishmonger, and fresh produce stall open from 8am. Other traders are open from 9.15am. Good Friday: 10am until 9pm. Parked in the Market car park? You can now receive £1 off your parking by simply scanning your ticket in Chester Market. Why not take the opportunity to check out the fabulous stalls Chester Market has to offer? The discount can be applied at the start or end of your visit to Chester.